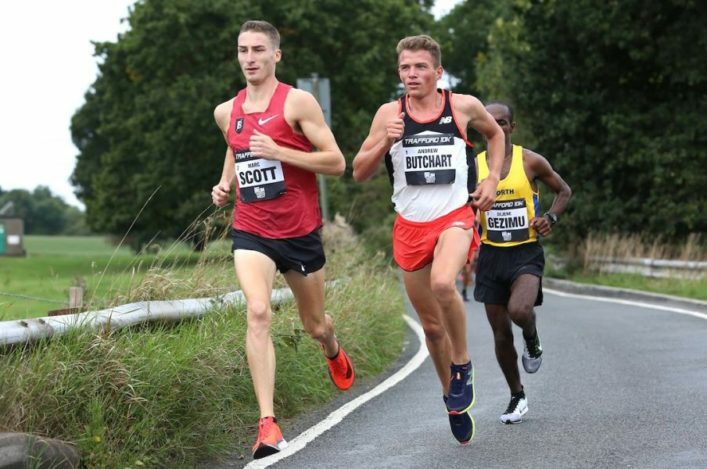 Andy Butchart was back in race action for the first time in a number of months when he finished second at the England 10K Champs over the weekend. 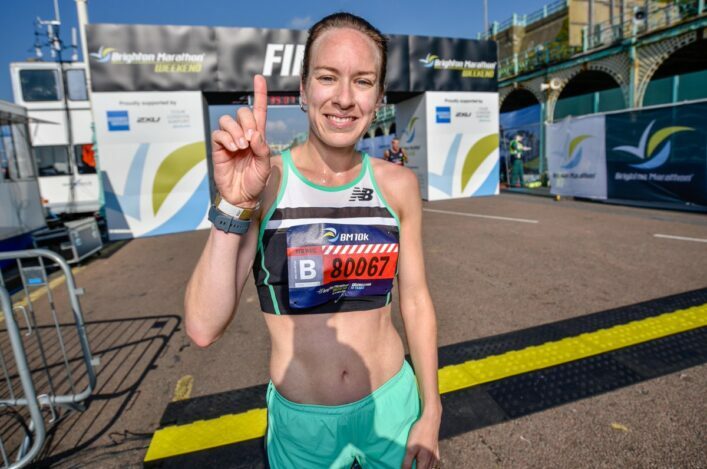 Marc Scott and Jessica Piasecki were the impressive winners of the Trafford 10k, which incorporated the England 10k Championships, on Sunday. 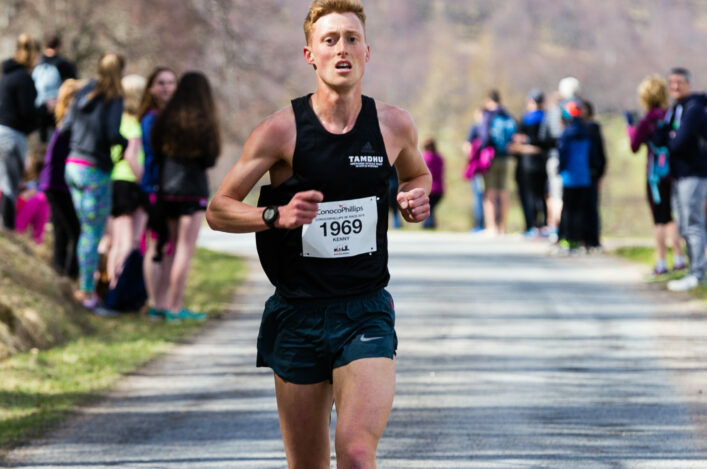 In the men’s race, Scott, who recently ran the fastest 5k in the UK this year, was the emphatic winner with a sub 29-minute clocking of 28:57. Butchart finished 31 seconds adrift (29:28) in his first race after six months out with an injury. The Olympian from Central AC broke a bone in his foot during the indoor season early in 2018 and it forced him to miss out on both the Commonwealth Games in Gold Coast and the European Championships in Berlin. Later this week, Andy and partner Lynsey Sharp are on a short break to the Highlands and will visit Inverness Harriers for a group training session and Q and A with athletes and coaches. Young Scottish athletes were in action at the UK School Games in Loughborough – and there were some fine performances. Two Scottish U17 Records were broken as throwers Kirsty Costello in the hammer and Keira Waddell in the javelin continued in the rich vein of form they have found this season. 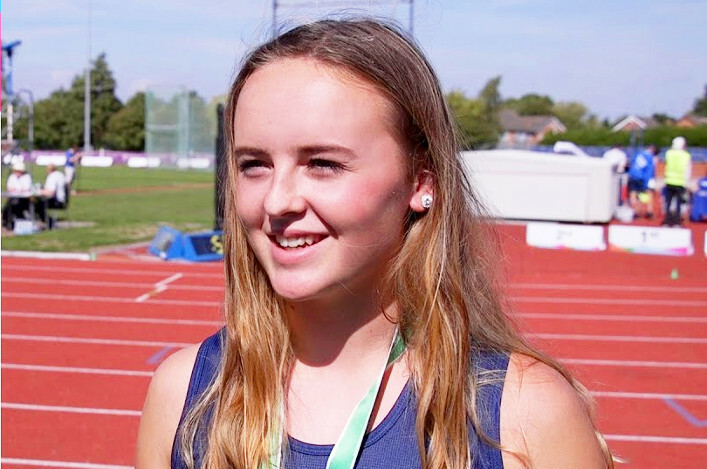 Subject to the ratification process, Kirsty has take the U17 Women’s mark now out to 60.52m (taking a silver medal) while Keira reached 50.39 in the U17 javelin competition to win gold. There were also golds for Ellie O’Hara in the triple jump with 11.54m, Carmen Neat in the high jump with 1.69m, Murray Fotheringham in the long jump at 7.07m and Katie Dinwoodie in the 100m with 12.36. In the Para events, there was a strong Scottish presence with gold medal-winning performances as follows: Nathan Fleetwood 100/200 double; Abbie McNally 200; Connaire McLindon Discus/Shot Putt double; Matthew Craig seated discus. Of her performance, Costello said: ‘I’m really quite chuffed with that. I’ve been in good form in recent training sessions and was expecting something over 60 metres, so I was hoping to repeat that again and keep doing it consistently. 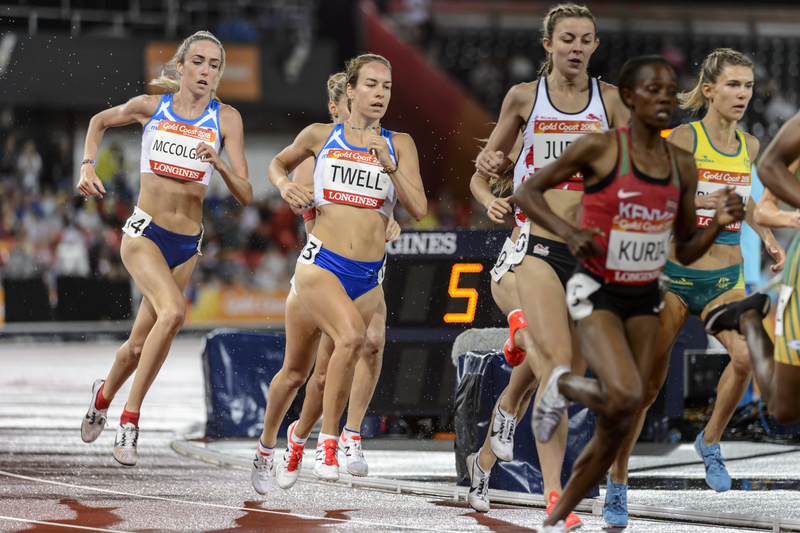 Three of our elite athletes competed at the IAAF Challenge event in Germany on Sunday – as Eilish McColgan, Steph Twell and Jemma Reekie all returned to Berlin. Eilish and Steph raced in the Women’s mile event and came home in fifth and sixth place respectively. Eilish clocked 4.25.07 and Steph 4.26.05, with McColgan’s time third on the Scottish all-time list. Jemma raced over 1000m and placed fourth in 2.37.25.